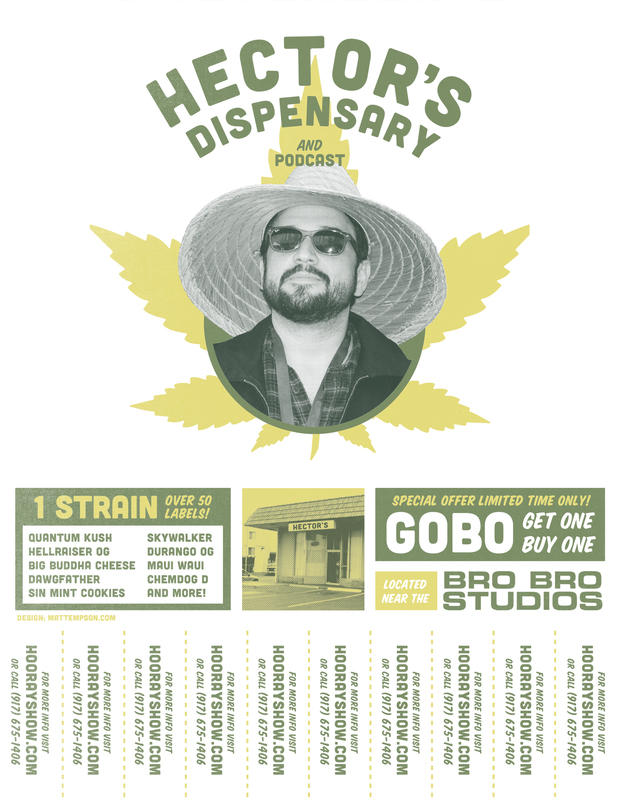 Designed this flier for Hector’s Dispensary, from The Hooray Show. 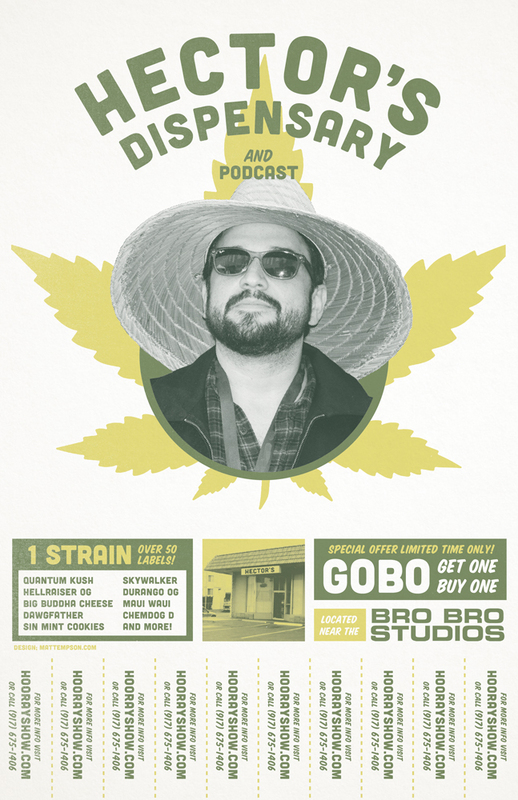 Hector runs a dispensary and hosts a podcast (simultaneously), so this flier ought to help him out with both at the same time. In fact, here’s a letter-formatted version, print one out and put it up in your neighborhood! Send me a pic if you do!